I recently made a rather unconventional risotto with bamboo. I chose bamboo because it has a very similar texture to asparagus, which is a very traditional element in risotto. You need to know the classics in order to come up with your own twist. Lulu had a craving for the starchy arborio rice dish. Asparagus are in season so I thought it was the perfect opportunity to please my hubby and to share this recipe with you. Enjoy! 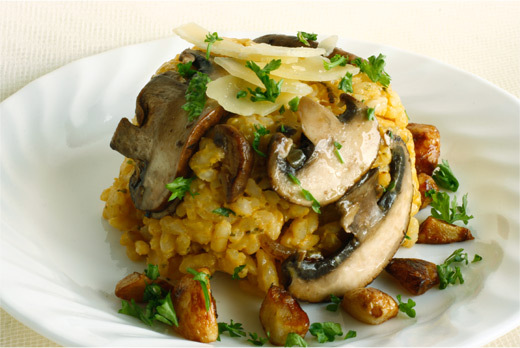 I've already made several versions of risotto like the Asian Fusion Bamboo one or the more traditional cremini mushroom risotto. Today was a very cold and rainy day, so I decided to make another risotto. This version is risotto with broccoli, Lulu's favorite. 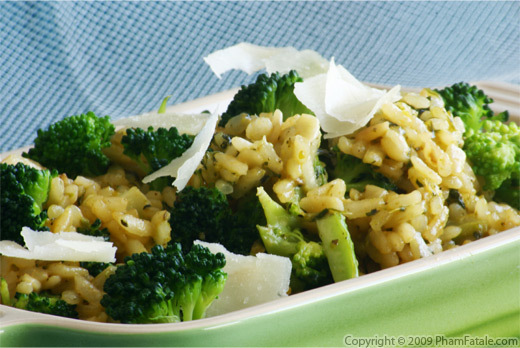 Broccoli pairs great with cheddar cheese, and is a great flavor and color accent to the risotto. 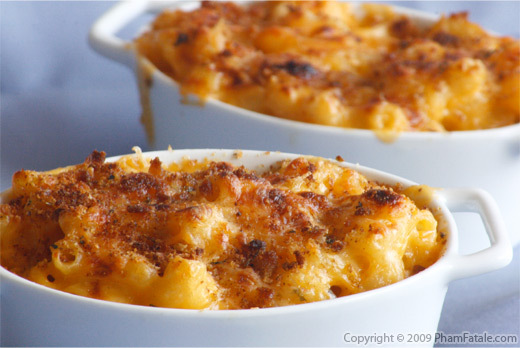 It's slightly upscale comfort food that your family will love. My hubby is feeling a little under the weather today. I wanted to give him some comfort food. Risotto is one of his favorite dishes; I make it very often when it's cold. 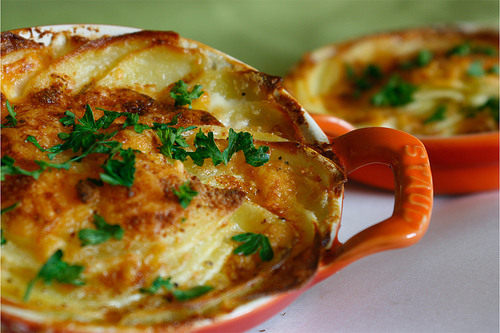 It's very creamy, cozy and hearty. The basics of the risotto is always the same, typically you'll add 2 to 3 ingredients to the base to create your own signature risotto. Page 1 of 17 pages.